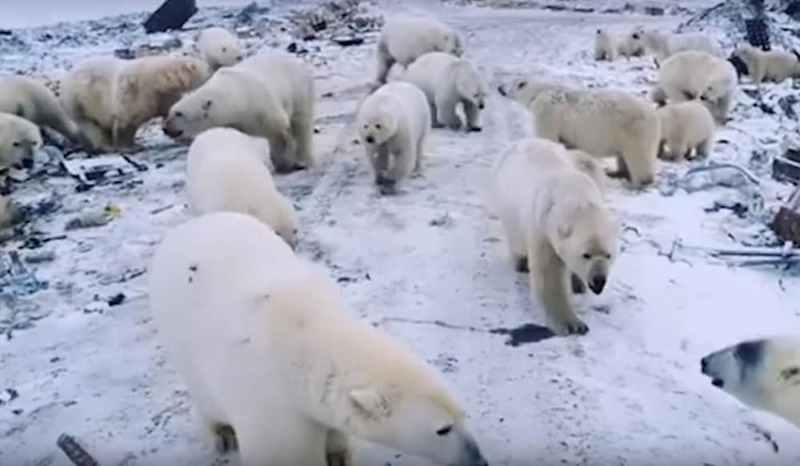 Since December, residents of the Novaya Zemlya archipelago have spotted more than 50 bears, who are “chasing people and entering residential buildings”. Because residents of the Russian region are banned from shooting the bears, which are classified by the country’s environmental watchdog as an endangered species, a team of experts is being dispatched to the archipelago—home to about 3,000 people—in hopes of preventing animal attacks, according to the Russian news agency TASS. 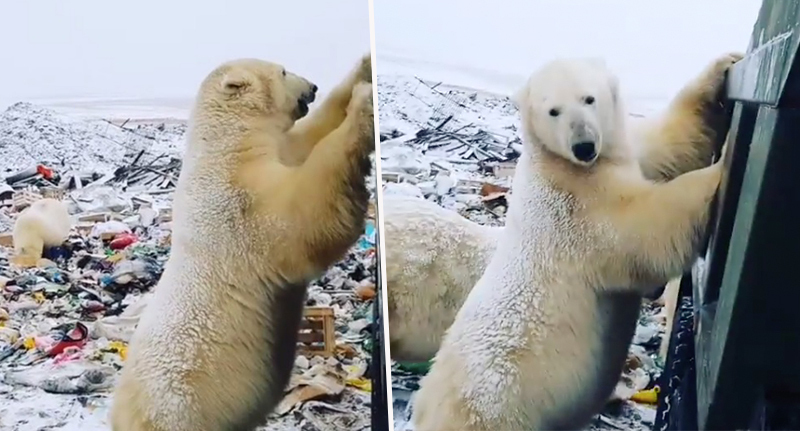 Since December, those living around the area’s largest settlement—Belushya Guba, which has a population of about 2,500—have reported seeing at least 52 polar bears. Attempts to scare the hungry bears away with vehicle patrols and dogs have failed. “The decision to declare an emergency situation on the territory of Novaya Zemlya from February 9 was taken at a meeting of the commission tasked to prevent emergencies and ensure fire safety,” said a statement from the regional government released on Saturday. 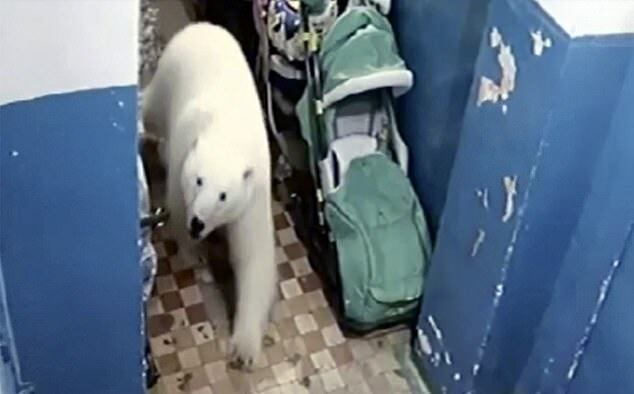 Invasion: A polar bear prowls inside a building, one of more than 50 spotted. The specialists hope to prevent attacks without having to shoot any bears, though reportedly acknowledge that a cull may be necessary. It is not yet clear how long the state of emergency will last in the region, which was once used for Soviet nuclear tests and is now a Russian military garrison.